Welcome to this month’s Blogorail Green Loop. Today we are discussing some of the best Disney character interactions at the parks and on Disney Cruise Line. From the very first time we took the kids to Disneyland, they have loved to interact with the characters. 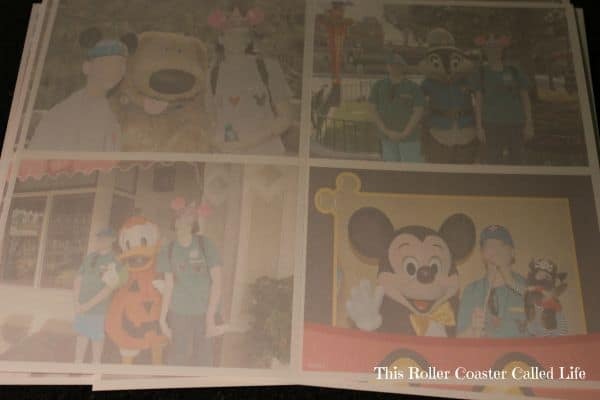 Whether it is a hug from Minnie Mouse or surfing with Stitch, there isn’t much outside of Disney that can put that kind of smile on the face of the kids. After the first couple of times we went to Disneyland, I started making my own autograph books. We had been using books we bought from Disneyland but soon noticed that people who had other autograph books seemed to get more interaction. Soon, I hit on an idea. I took pictures from previous trips and put them on card stock. When my son went up to Jafar with a picture of Aladdin, Jafar decided he would show his disdain for Aladdin. It was funny to watch Jafar act really upset with seeing Aladdin’s photo. There have been times that characters would just flip through the book to see all the photos. One year, we met Donald Duck. We didn’t have any photos of Donald, and he was very upset! We had to promise to have a picture of him the next time we went. As you can see above, I make the covers with clipart (some designed by others who have shared with me) and personalize them for each trip. The covers are laminated to keep them from getting bent. Sometimes, I take the finished autograph books to Staples to have them spiral-bound, and sometimes, I hole-punch them and use rings. I actually prefer the latter, so the pages can be taken out and put in a scrapbook later if the kids want to. So, how do I make them? I start by deciding how many pages we need for our autograph book and try to make it in a number that is divisible by 4. Why, you might ask? 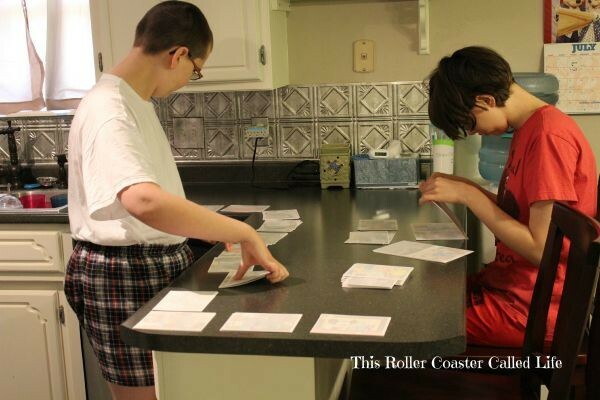 Well, I print my autograph pages on Avery Postcards/Index Cards (#8577). These pages are normal letter-sized, but each sheet is divided into 4 perforated postcards. This makes each autograph page 5 1/2″ by 4 1/4″. For our trip later this year, I decided to make 72 autograph pages. This will take 18 sheets of 4 postcards. I have decided to use 12 different photos, so I will be printing out 6 sheets of each unique sheet (3) of 4 photos. I personally use the free Avery software to create the sheets, but I’m sure that scrapbooking software or other design software would do fine, too. 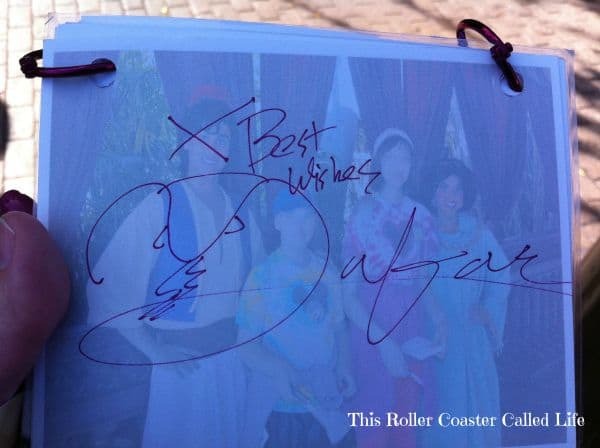 I set the picture opacity at 25% to make it where the photo can be seen, but the autograph can be seen, too. After I design a sheet and print it out, it looks like the sheet above. Then, we separated the individual pages, keeping like photos in their stacks. For most of the autograph books I made, that means 12 stacks of 6 photos each. Next, we lined the stacks up in order. Marvel Boy has to have his in a certain order, so he meticulously lined up his stacks. We went down the line taking a card from each stack and repeated until all the cards were gone. This resulted in each photo repeating every 12th page. I used rings for these books, so I hole-punched all the pages. In the past, I have found rings that are colored, and that just adds to the whimsy of the books. It looks like it is time to start on autograph books for our cruise later this year. Another way to get great interaction is to do the unexpected. 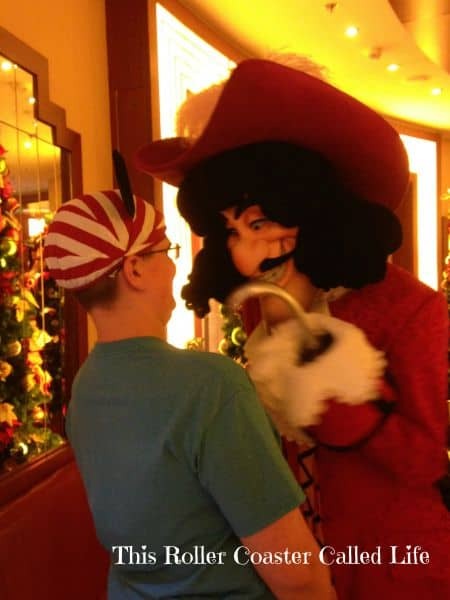 On our cruise last year, Marvel Boy went up to Captain Hook and started to sing, “Hook is a codfish…” You can see Captain Hook’s response. It was great! No matter whether you make your own autograph book or purchase one, I hope you have a GREAT time with the characters on your next trip! I remember you taught me how to make these books! They were definitely some of our favorite autograph books. In fact, the story about Jasmine that I related in my post was due to these books! Love them! 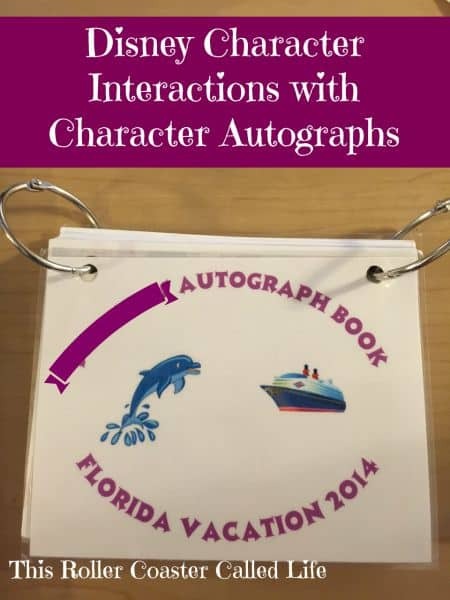 Wow, what a great way to create your own special autograph books! I don’t think I could have ever come up with that idea on my own, so thanks for sharing it with us! It makes each book unique and adds to the memories for each trip! What a unique autograph book idea! It’s a great way to get character interaction. I really like using the older photos. You get to see how the kids have grown! 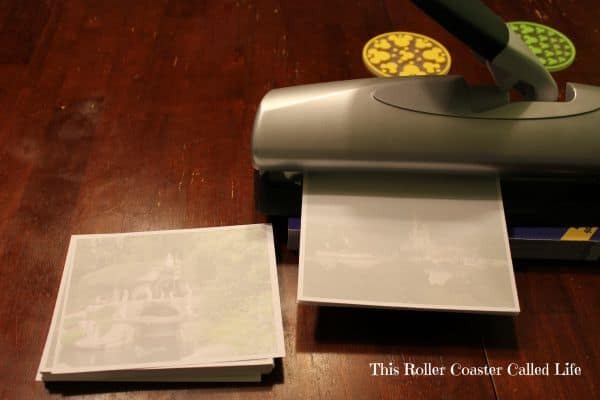 Going to have to find some time to make one of these for the Disney Cruise.